Registrations are now open for our March Break and Summer Camps. New to the Bot Camp line-up is our March Break camp! Our same flagship Summer day camp program is now available in the spring from March 11 to 22. 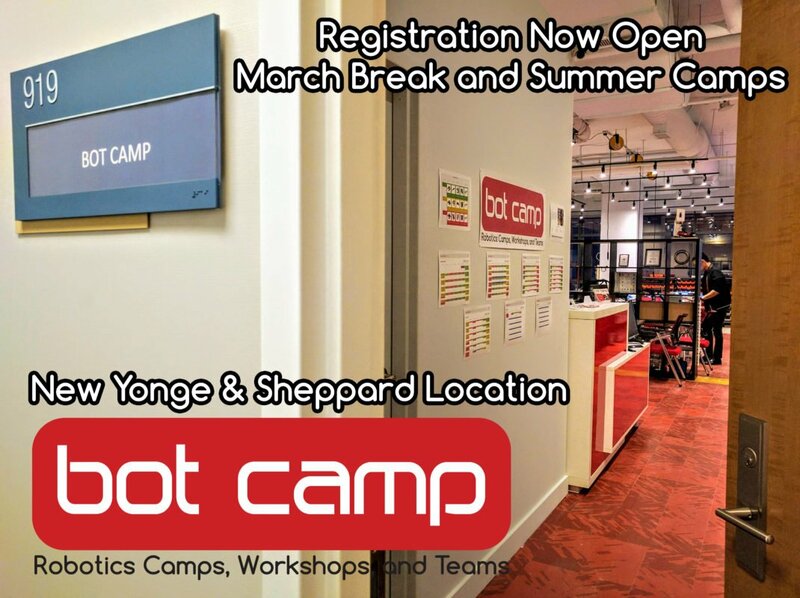 Both March Break and Summer Camps are now held at our new location at Yonge and Sheppard at the Hullmark Centre. Our state-of-the-art custom designed facility allows our students to experience Bot Camp unlike ever before. All camps are limited to only 16 students per session, so register today!